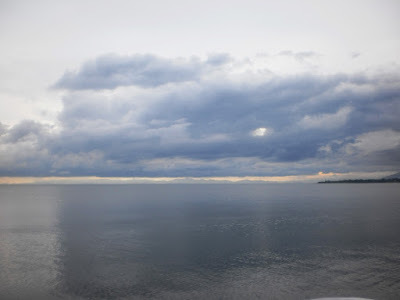 It’s been a while, I missed this blog, I’ve been knocking my head off with so much things humans could do around. 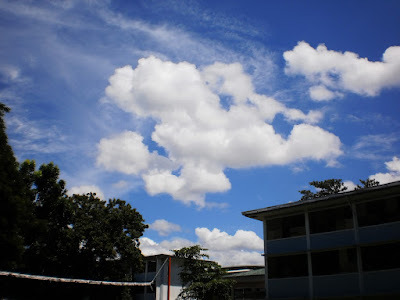 You’re actually seeing the same blog, me and my OC tendencies just love tweaking and changing the internals of this blog till I can’t tracked back what I’ve clicked previously, it turned out I lost this blog, but after skipping several afternoon naps, finally I’ve figured it out. 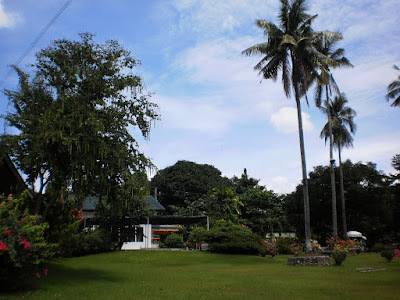 So it's back..
Catalina Gardens, Shrine Hills, Matina, Davao City. 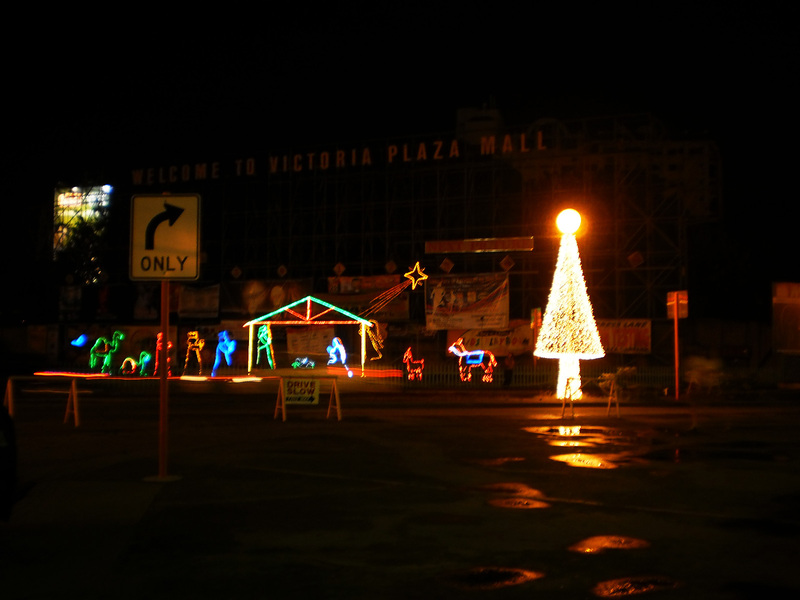 ....or The Nativity colored outline at Victoria Plaza Mall, Bajada, Davao City. 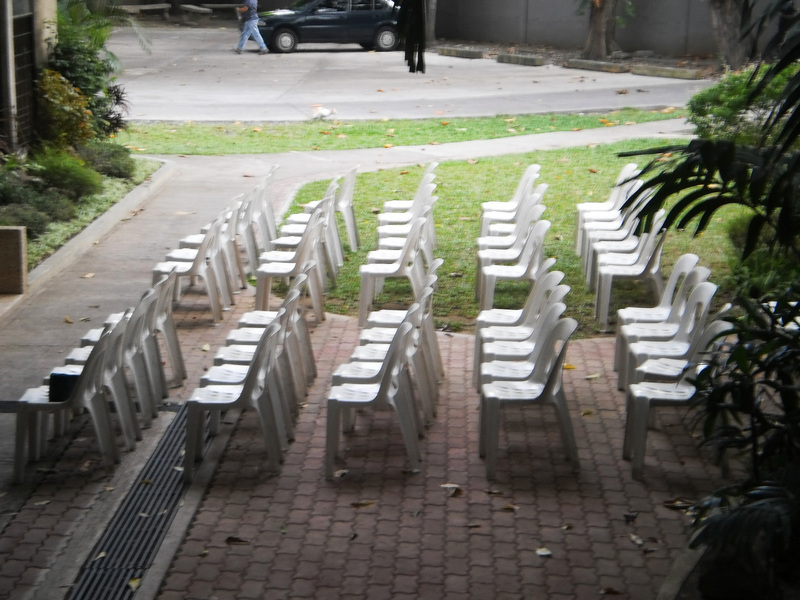 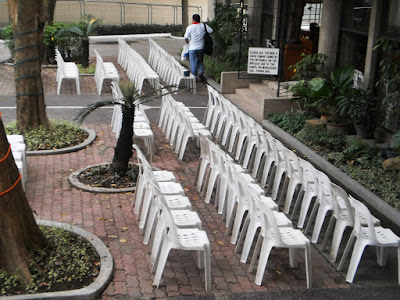 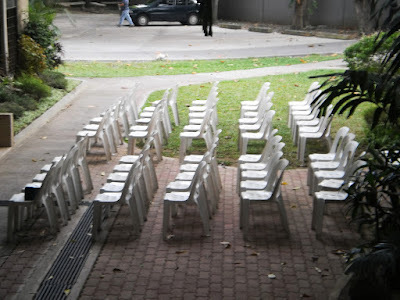 Chairs ready for the afternoon mass at Ateneo de Davao University Chapel. Some things a rider can do on red lights. 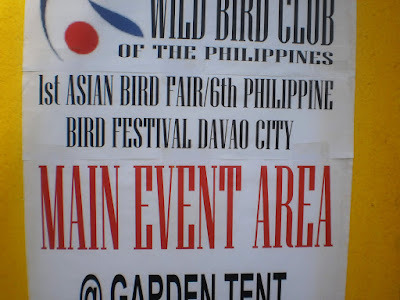 ... in practically all corners of the world. Davao has it too. - ChinaTown. 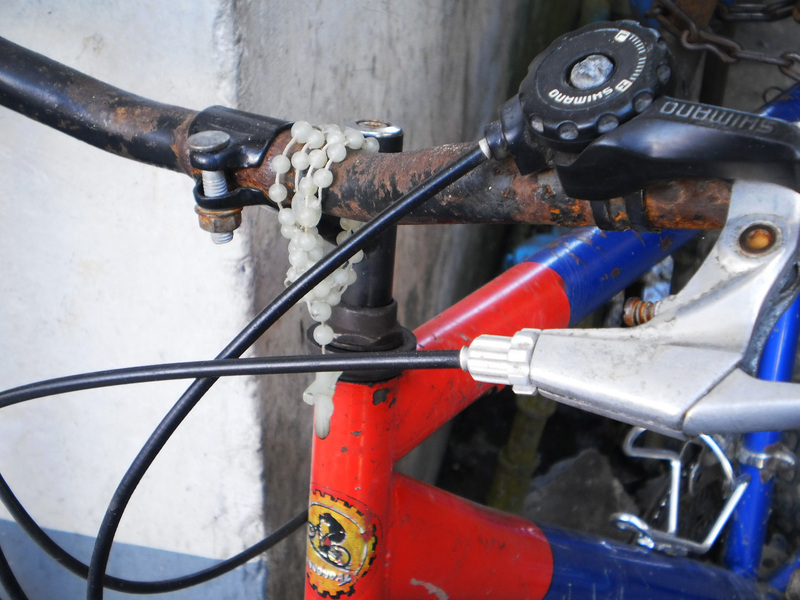 Mode of transportation plying R. Castillo St.
ewww... somebody break a wind down there! 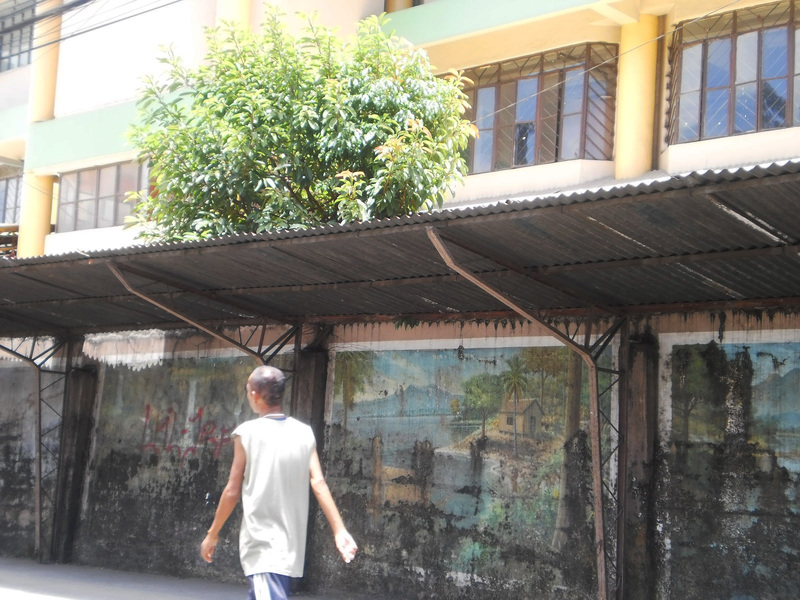 Just one lazy afternoon along Sta. Ana Avenue. 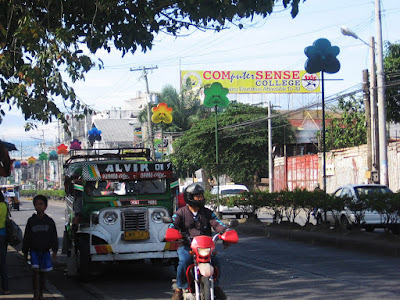 I actually can’t figure out the semiotics behind this sign, the black carabao labeled blue in a red signage mounted on a blue building… whatever…. 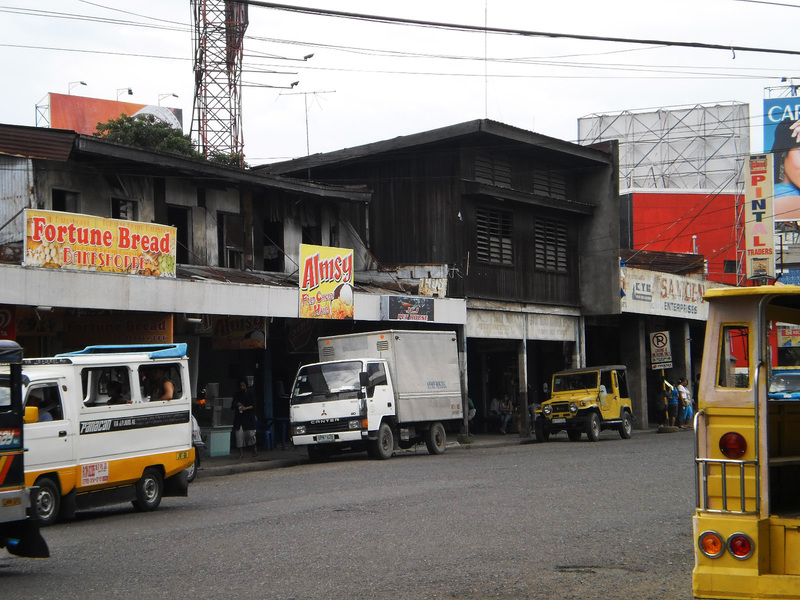 Monteverde Building along Monteverde St. There's really something about humans, they don't just survive ... they discover, they create ... they ruin ..
Few human stuff at my cousins dirty kitchen. The sky threatened to drop all those when we get to this pool, but who cares, my children keep shouting ... come-on mom, the water’s fine. 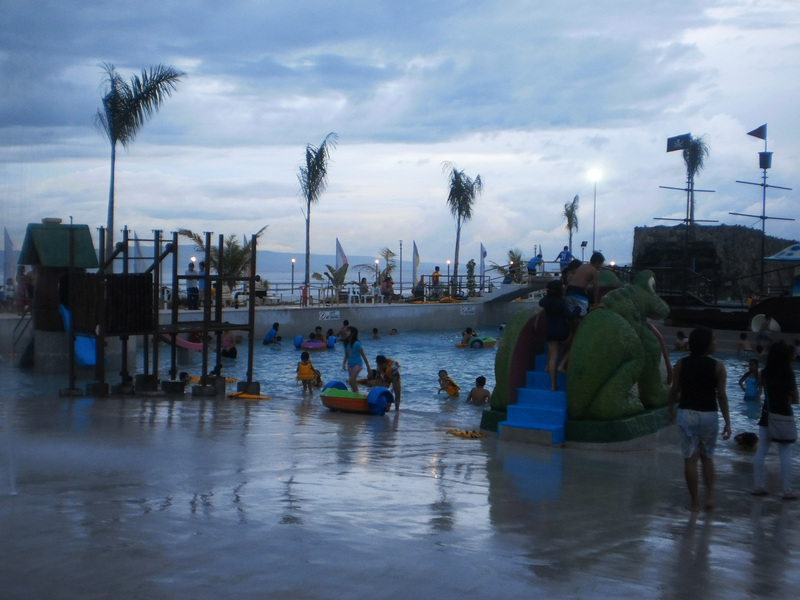 Afternoon to night swimming at Emar’s Wavepool. Can you see it? 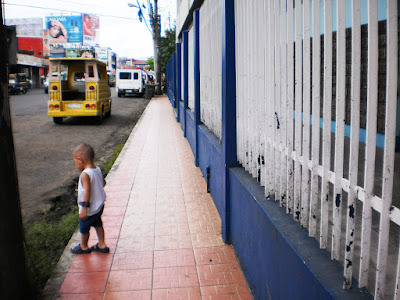 This boy might have noticed something at the end of this pathway, so he shifted course, lol. 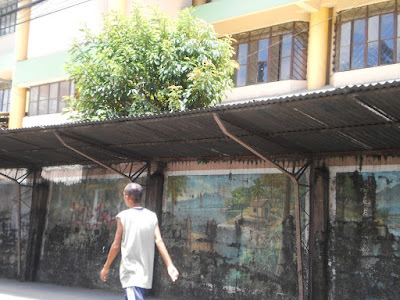 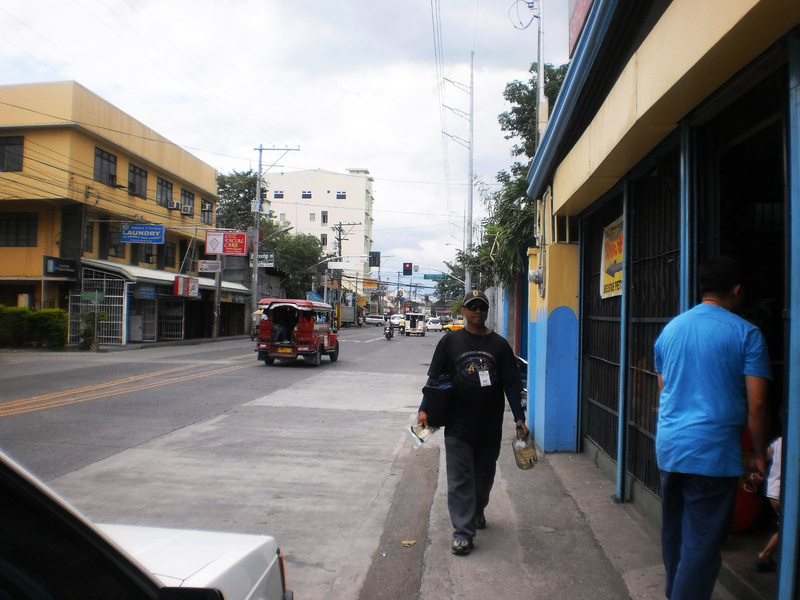 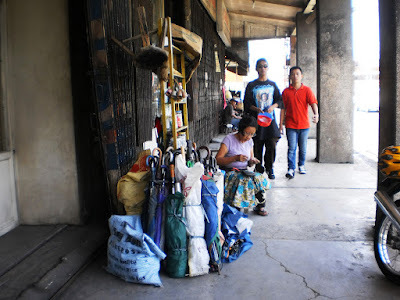 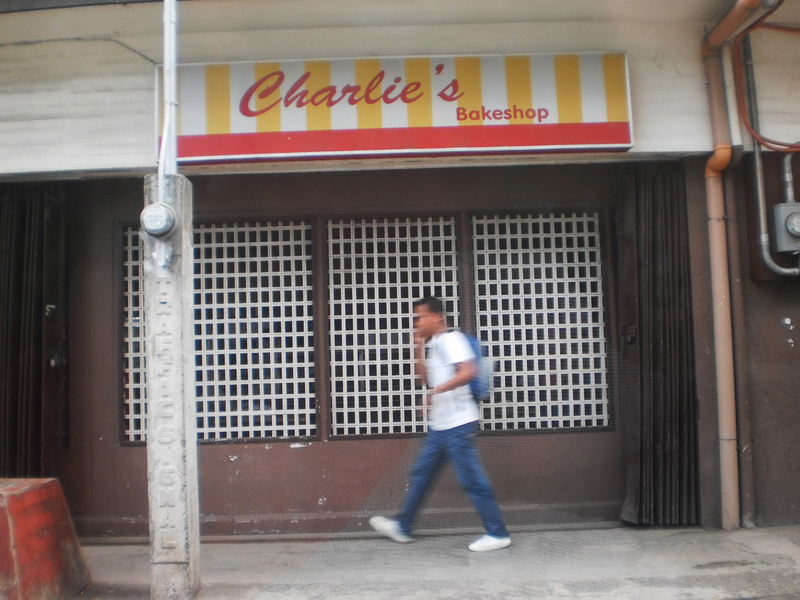 Sidewalk at the back of Davao City Central Post Office. Twilight horizon. 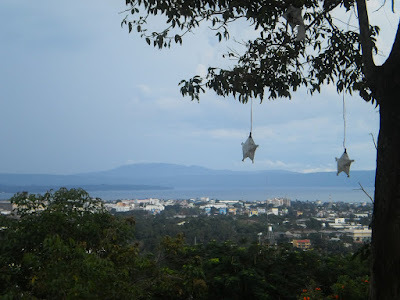 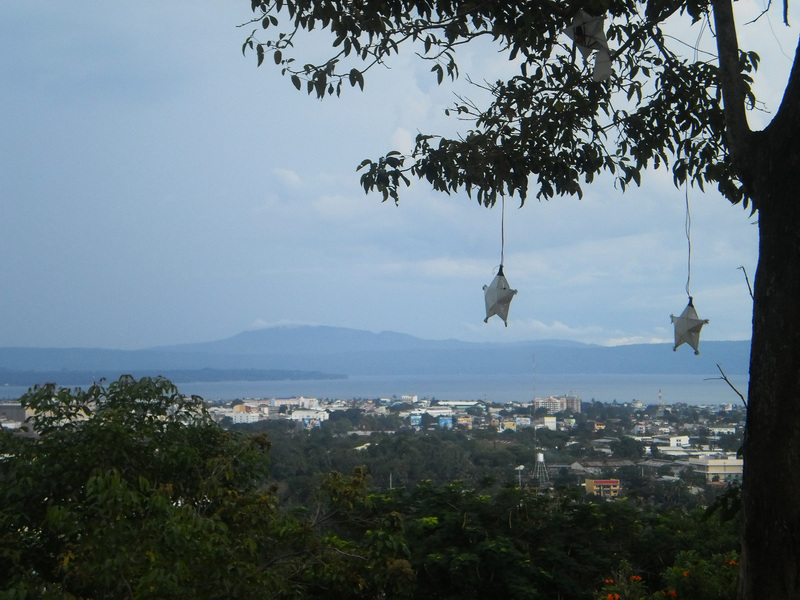 A view from Emar’s viewdeck at Times beach, one gloomy afternoon. 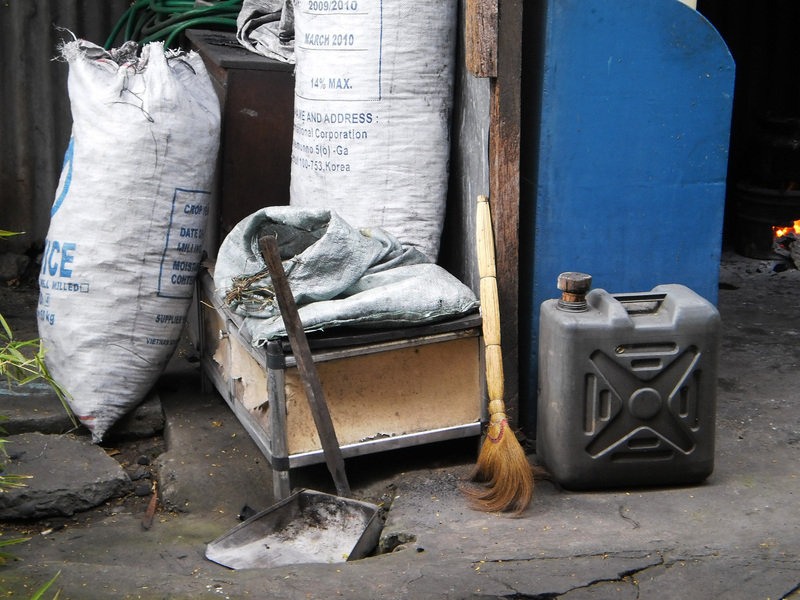 …or remnants of the past. They may look like fire risk but these structures are just few of the remaining witness of Davao’s past. Old wooden buildings at Acacia, Oyanguren extention. 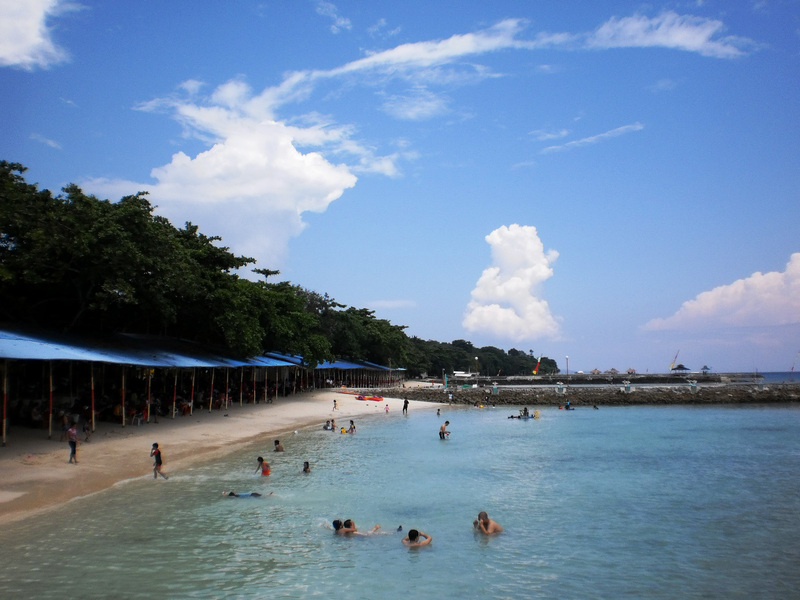 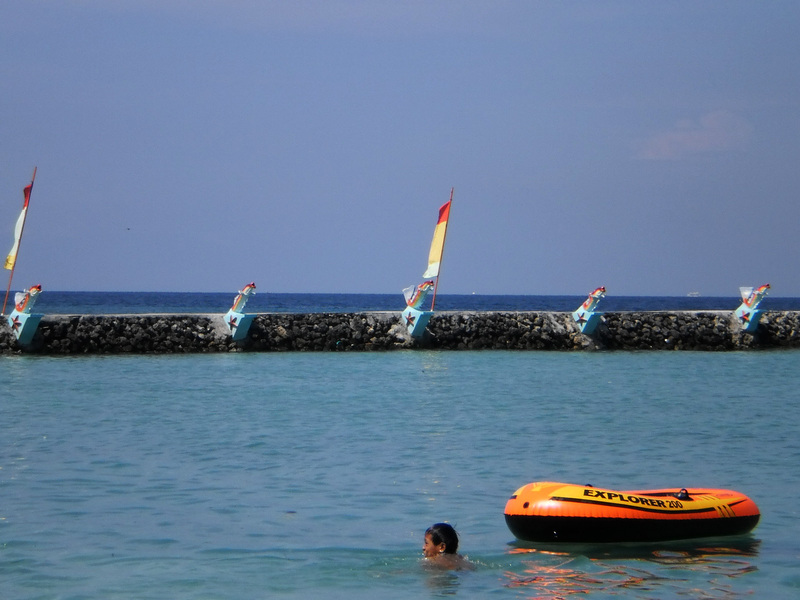 Breakwater at Blue jazz resort, Island Garden City of Samal, Davao. Not that thing you think, these are actually the security guys that kept off kids from coming near this area during the First Asian Bird Show here some weeks ago. 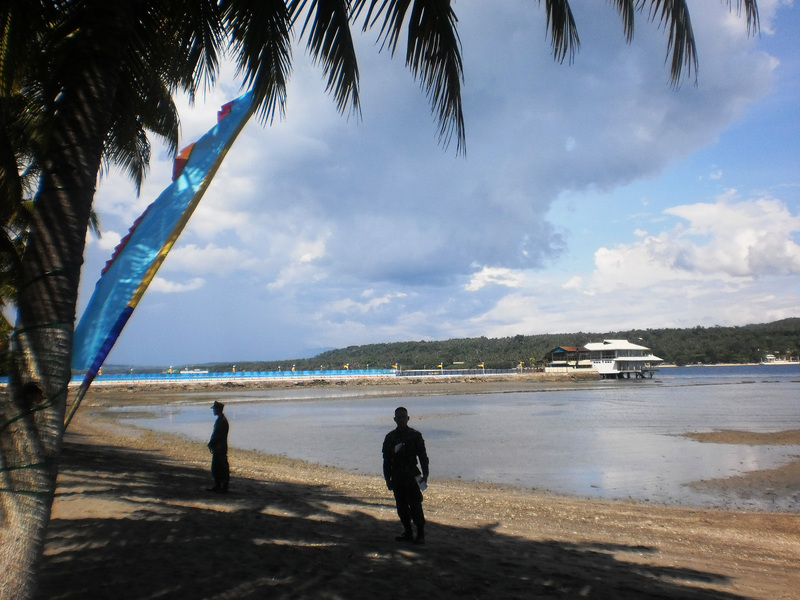 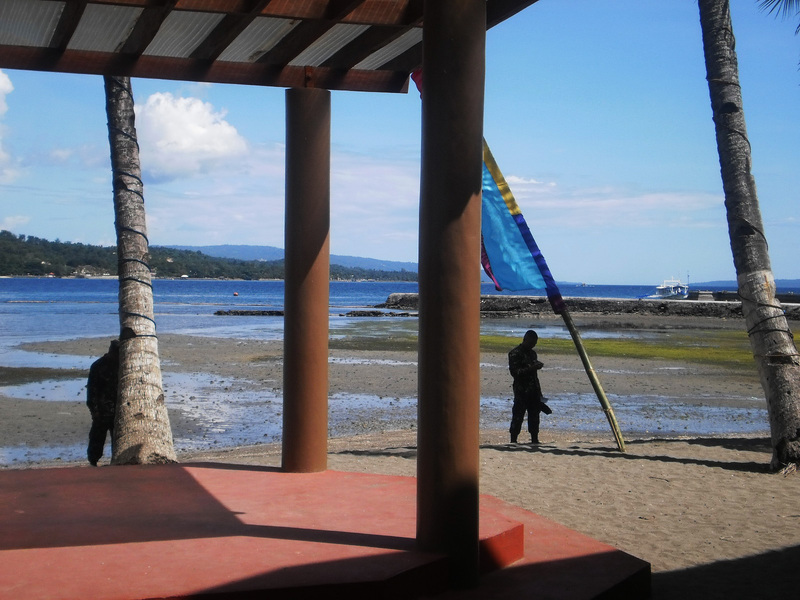 Low tide at the beach side of Waterfront Insular Hotel, Davao. 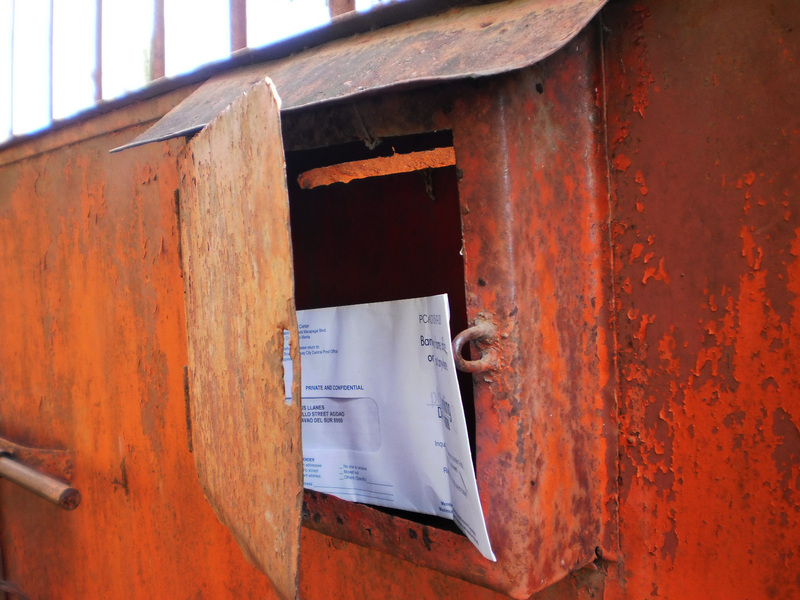 Yeah, I hate to receive these bill mails, but what can I do? Out of mournful face I took a souvenir of this one when I got it from our mailbox today. 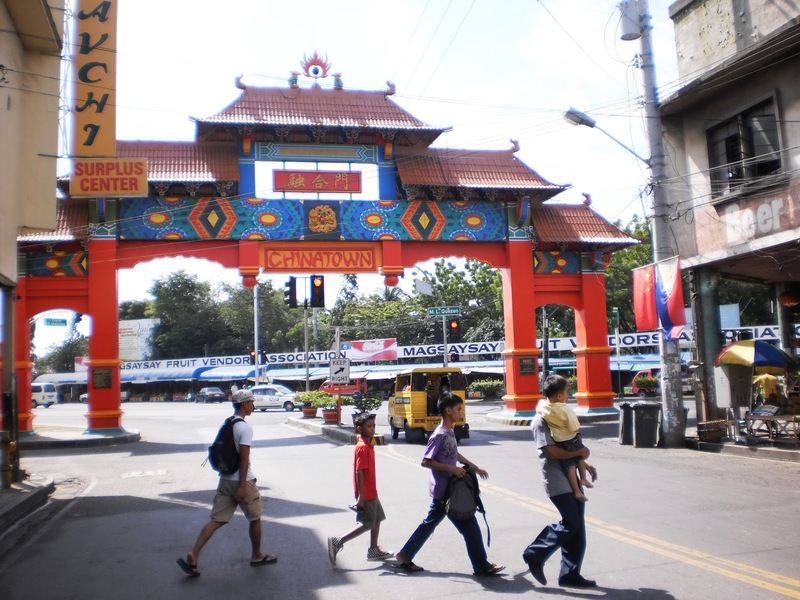 Shrine Hills, Matina this city. 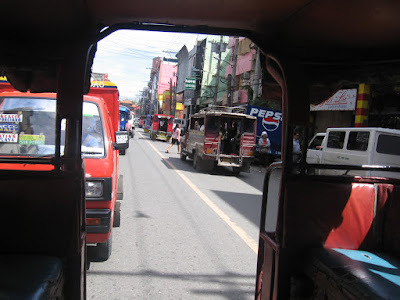 It does not matter as to what type of ride you are traveling with, what matters is how you trust HIM to safe journey. 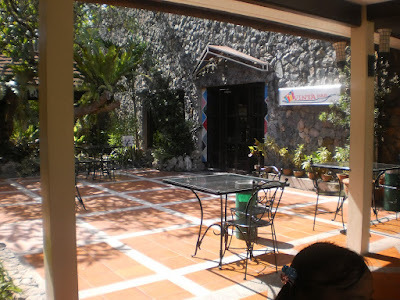 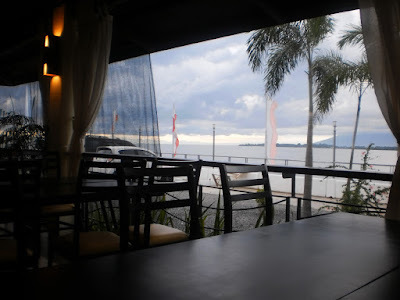 Can be your next hang-out when in Davao. 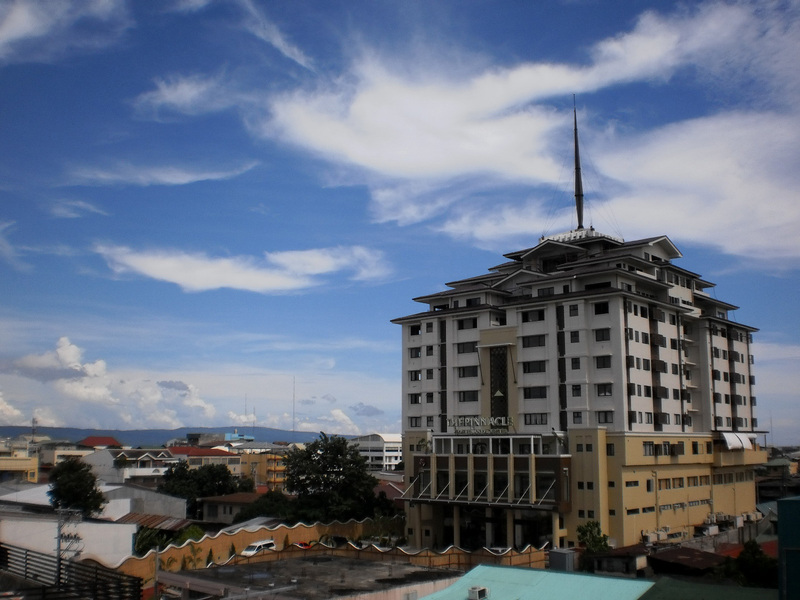 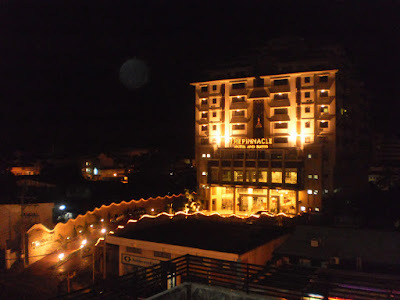 It's at the heart of Waterfront Insular Hotel, JP Laurel Ave. 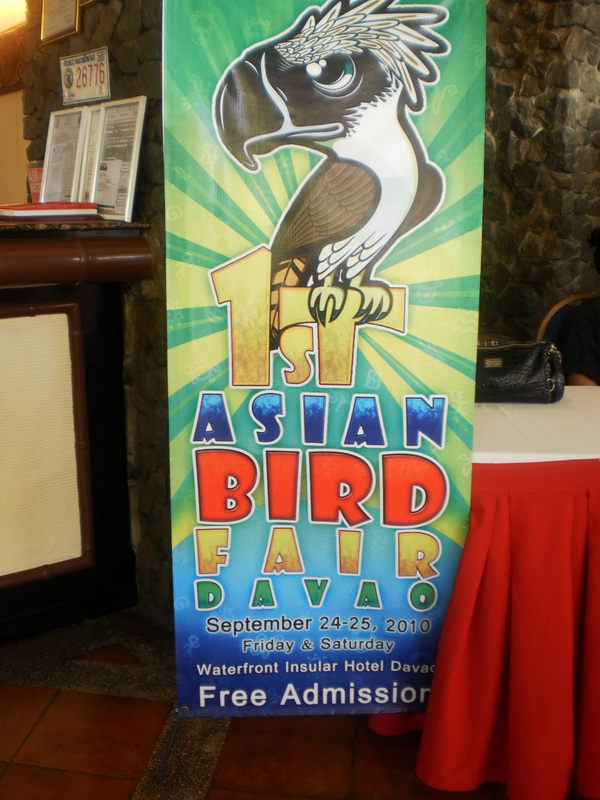 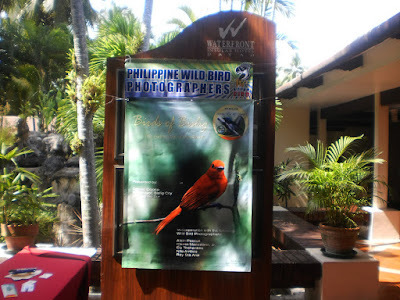 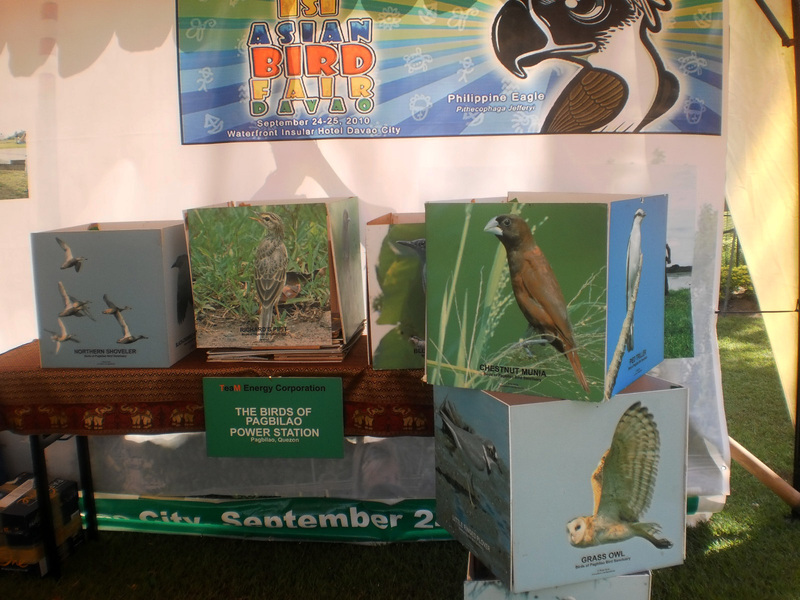 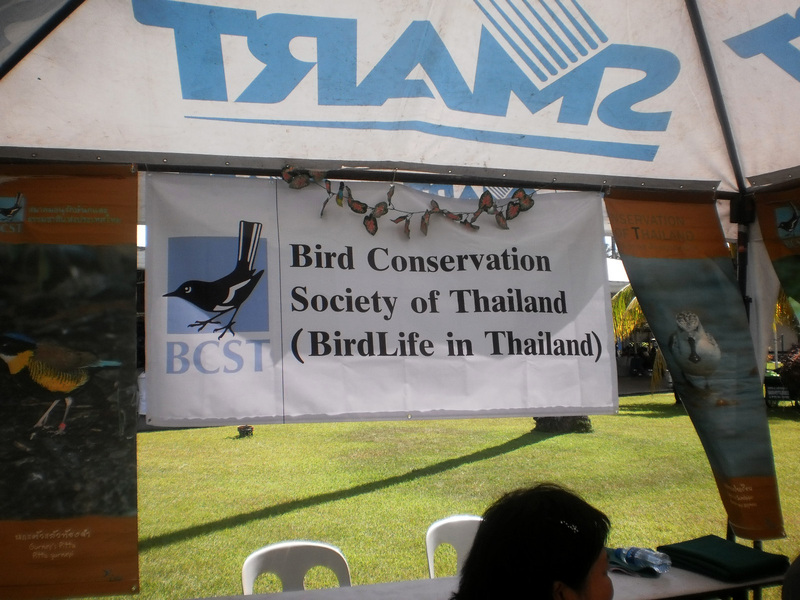 The first Asian Bird Fair was held here in Davao on Sept. 24-25 at the Insular Hotel grounds here. My kids were excited knowing they could see variety of birds at the fair, but unfortunately it was a birdless fair, as the exposition was mainly organized to promote awareness and educational drive amongst stakeholders. The fair was participated by hundreds of Bird enthusiast all over Asia, with the aim of primarily promoting awareness of the importance of the birds in our ecosystem, how humans have encroach and destroy their habitat and how will this phenomenon affect humans. 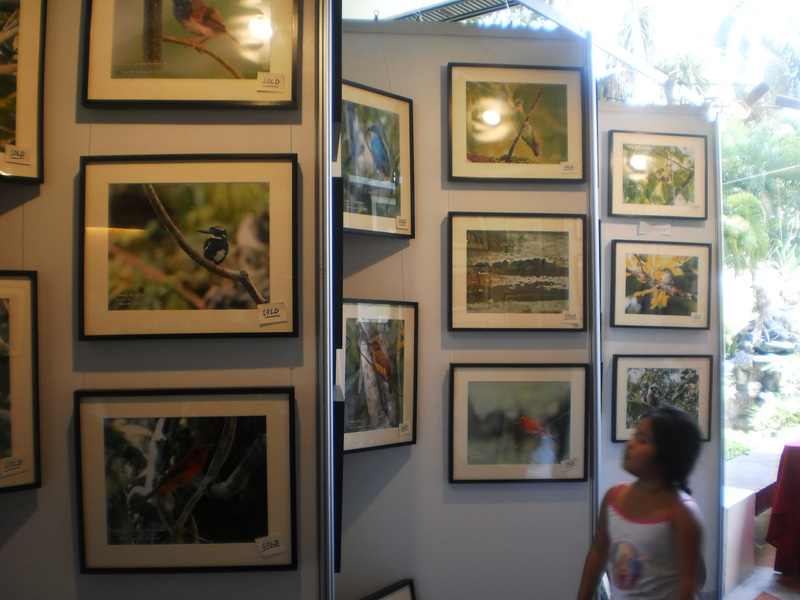 It was an eye-opener fair… though the kids was disappointed because there were no live birds to watch on. Call it vanity post .... lol! 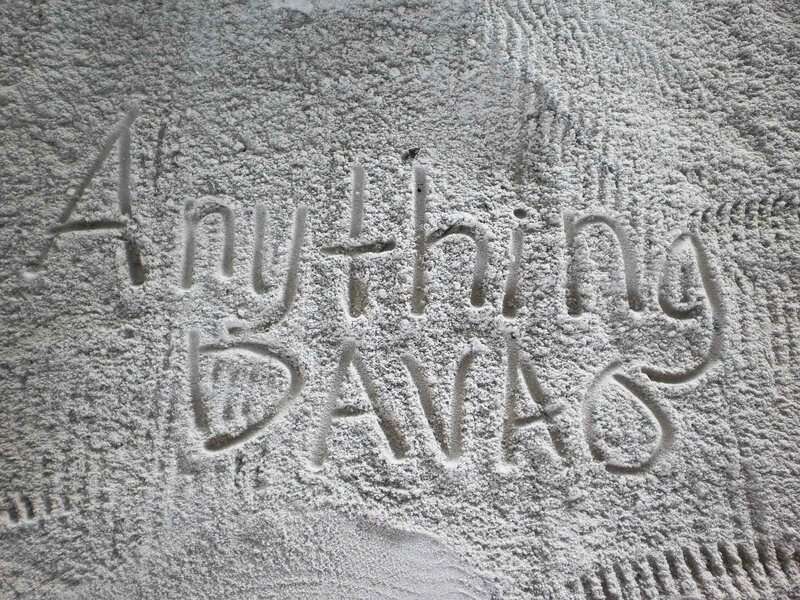 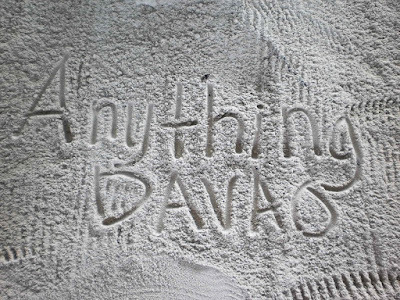 Having fun scribbling this blog's name at the sand at Paradise Island Resort at Samal Island here. 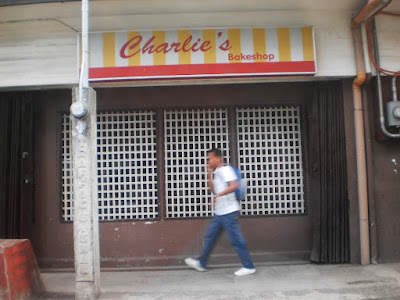 Where have all the breads gone? 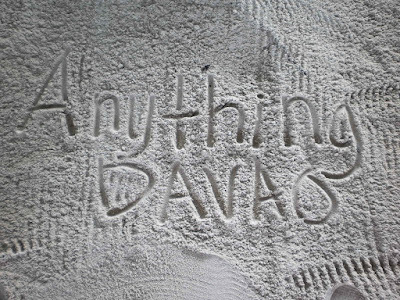 Was wondering too. I took this while waiting for someone along Palma Gil Street here. 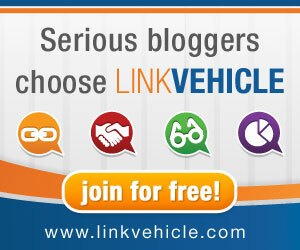 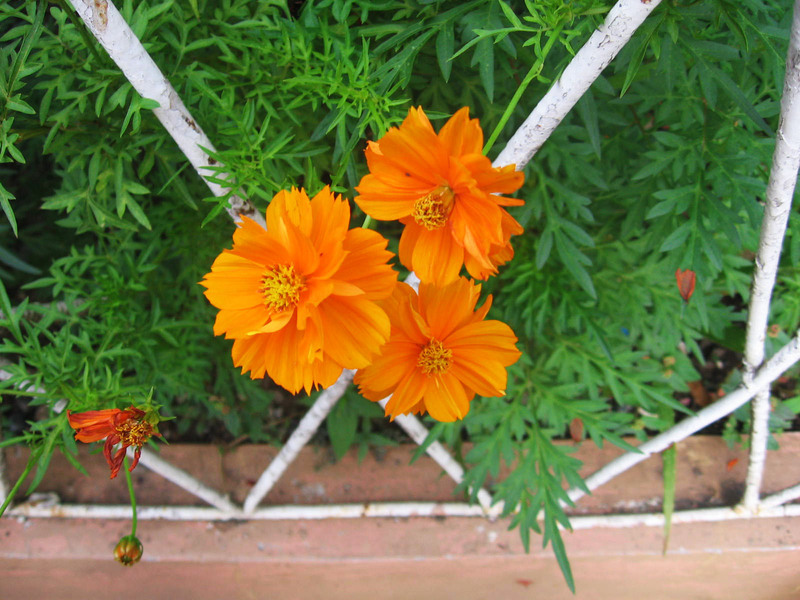 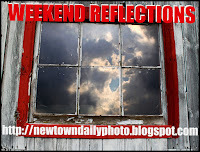 At last I have updated this blog. I’ve been chaotically busy with my offline scheds these days and this blog has to take the farthest of seats. 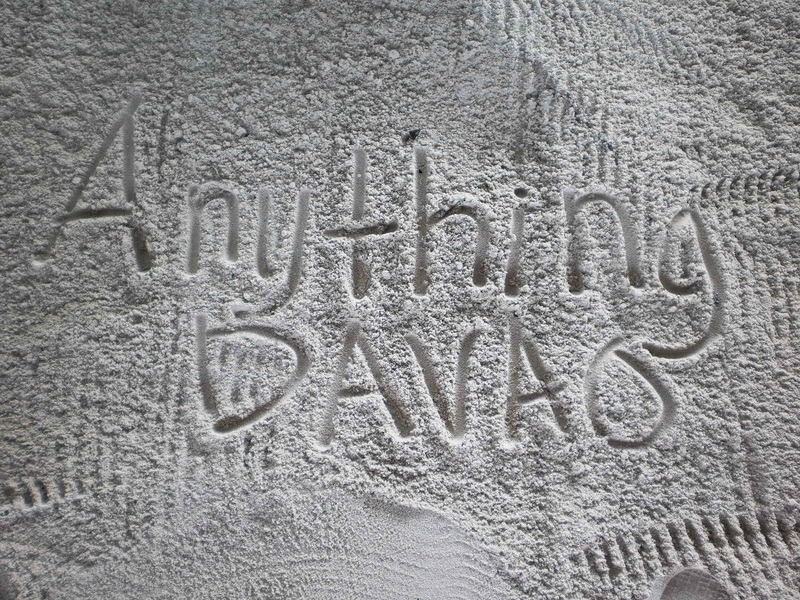 Thanks for always checking here. Davao City's Oyanguren Street, from a an empty jeepney ride, on a Monday morning. 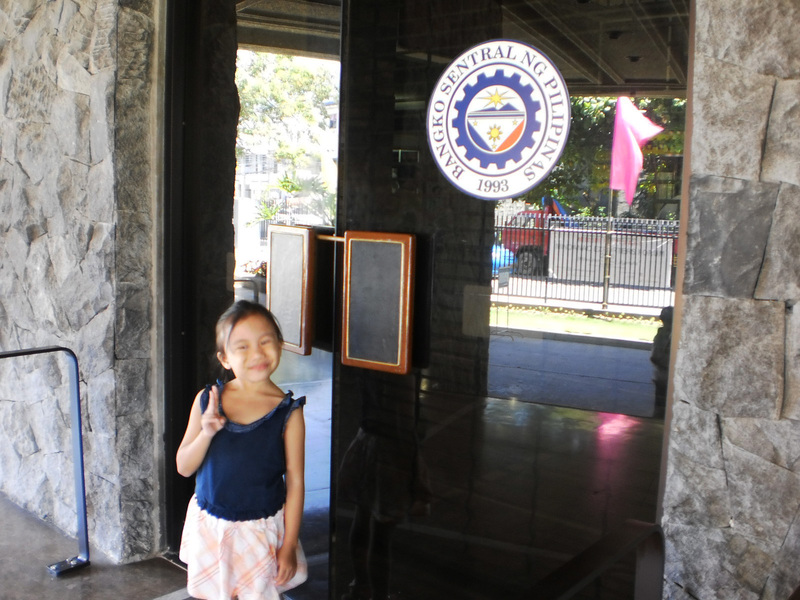 My daughter at the entrance of the Central Bank of the Philippines - Davao City, during the Mindanao Trade Expo two weeks ago. 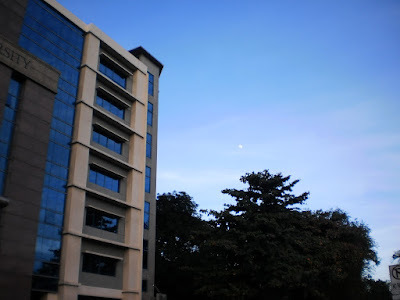 Daylight moon on Thursday at Roxas Avenue. 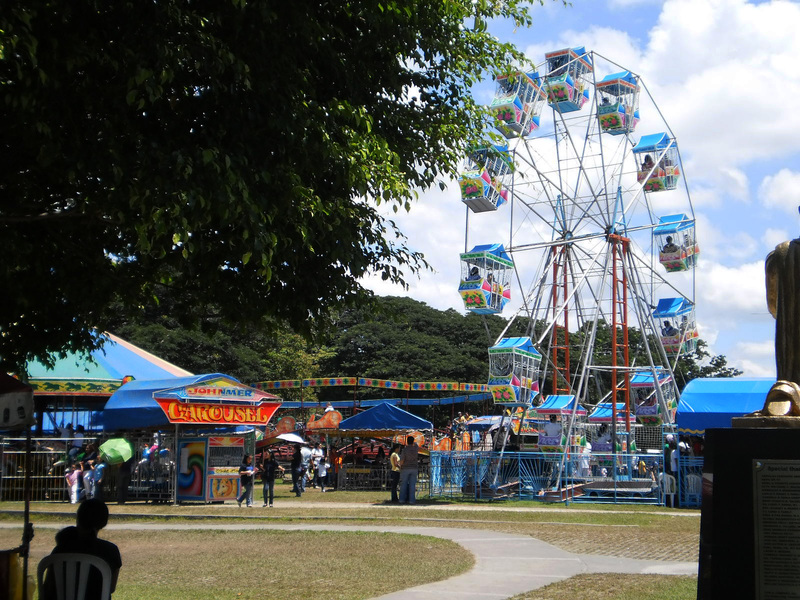 Ferris Wheel at the Ateneo Grade School grounds during their fiesta about two weeks ago. 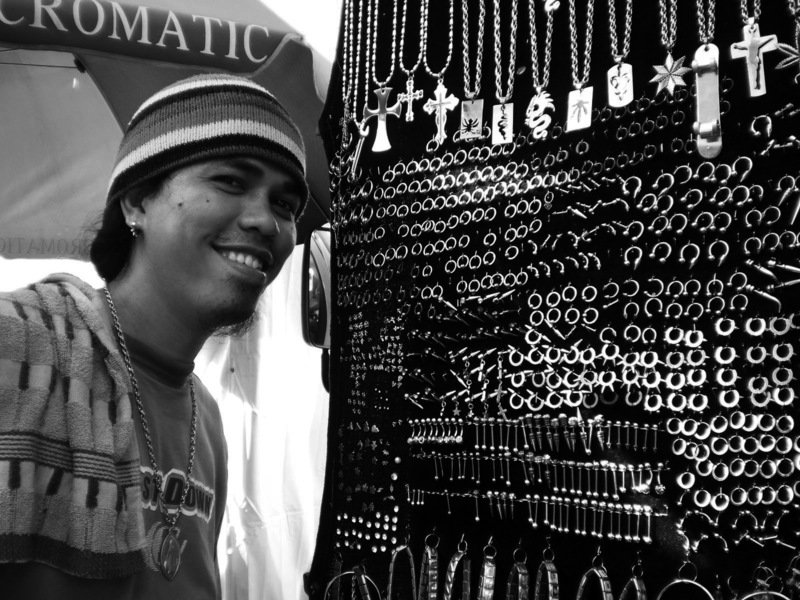 Just one of the many body piercing icon peddlers during the height of the Kadayawan Festival. 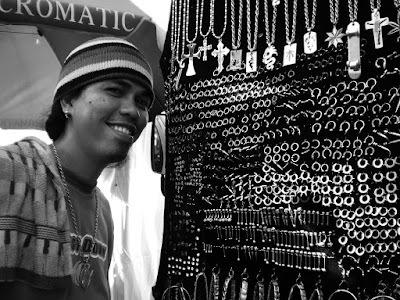 Icons come in a wide variety of choices, you can have one for your ears, your lips, your nose, your navel ... or wherever you want to put this in your body, they will let you sit beside this black cloth and do the piercing... awww, that's painful, I wonder if the procedure is sterile too. 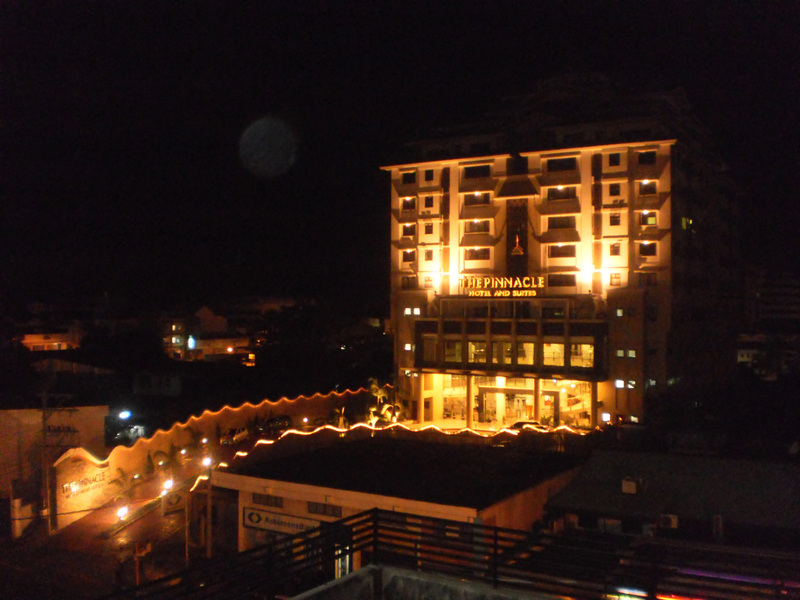 ..is just one of the soon-to-open hotels in the city. 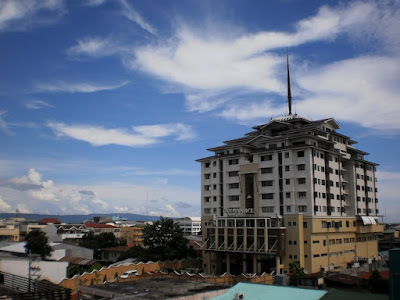 The Pinnacle is located along Sta. 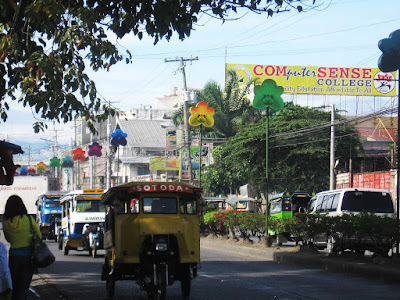 Ana Avenue, just across Gaisano Mall Davao.